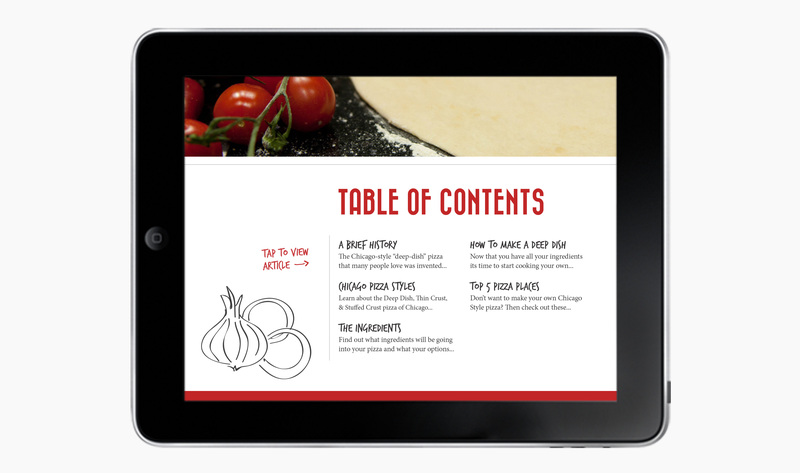 I created this iPad publication as part of my Interaction Design II class. 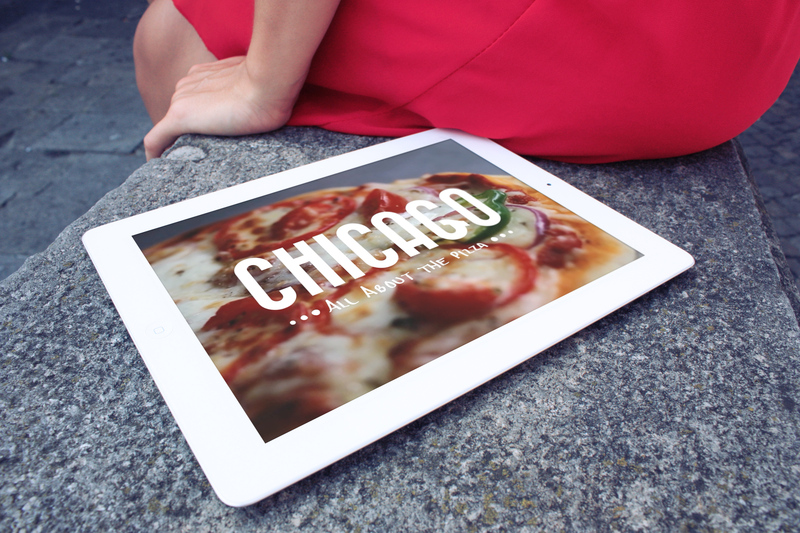 We are tasked to create an publication about Chicago and I choose the pizza. 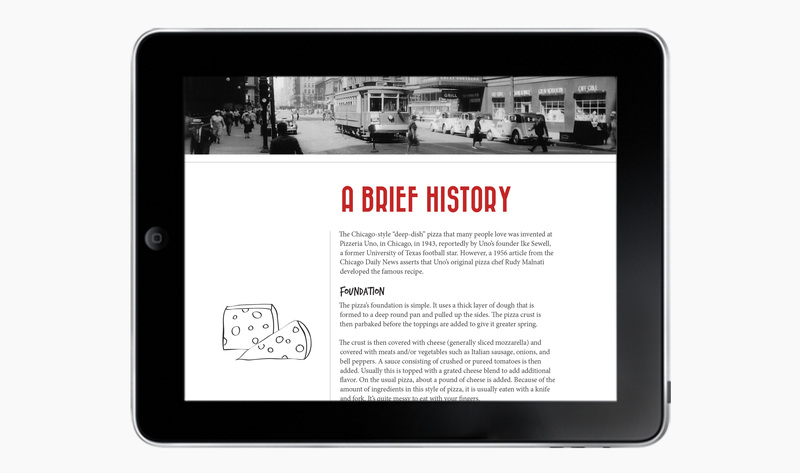 The application tell the history of Chicago Pizza, the ingredients and the best restaurants around town to grab a slice. 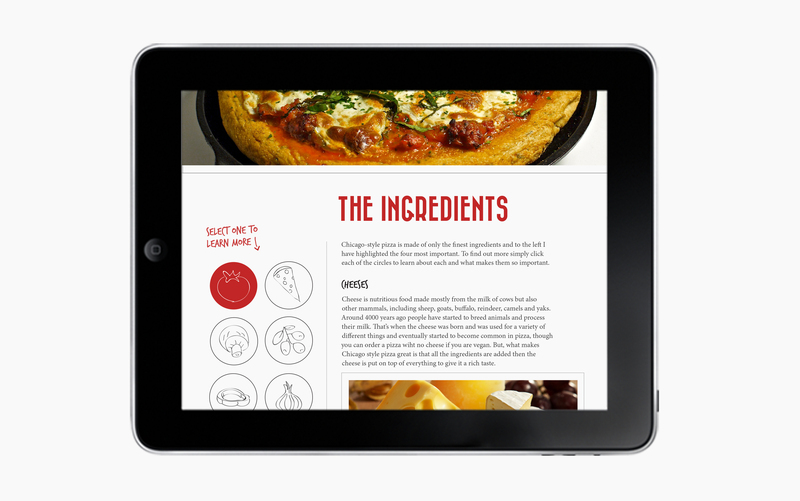 The designed needed to be personal and functional. My solutions was to use hand illustrated elements and combined them with a strong color theme.